Well, there’s a second K-ent couple to start off the new year in 2018, or first if based on the timing of when this news hit vis-a-vis the other one. 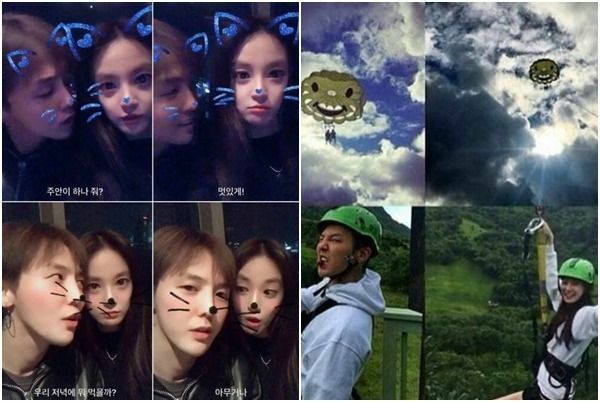 The news of Lee Joon and Jung So Min‘s dating captured my attention and I glanced over the other news of Big Bang‘s G-Dragon seen on a Jeju Island holiday vacation with Lee Joo Yeon. Apparently there has been rumors for months now of this pair being a couple due to similar Instagram posts so this dating news is very likely true with the added photos from their Jeju trip. 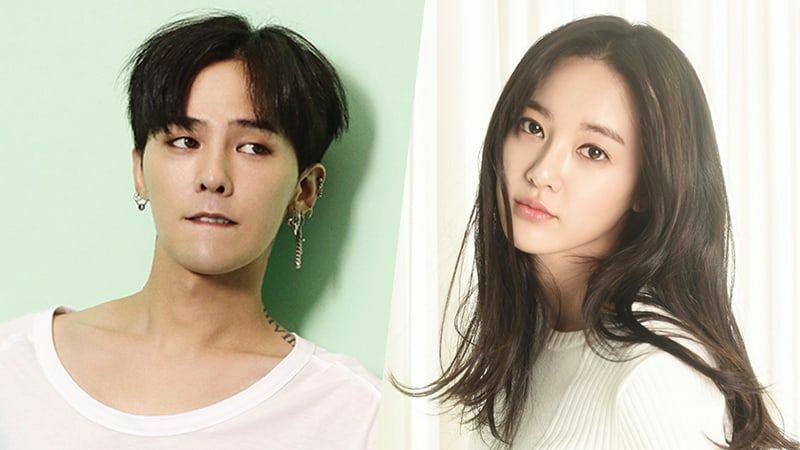 G-Dragon was formerly dating Japanese actress Mizuhara Kiko while Lee Joo Yeon dated actor and sometimes rapper So Ji Sub for a few years. I hope they get to date in peace and whatever will be let them have a happy and healthy personal social life together with little to no K-ent criticism. Congrats also to this pair! hi ockoala, i thought u were on hiatus but apparently u r not. can u please cont n finish up the lost u forever? only left two more chapters right? n the last update was almost two years ago… tq in advanced! Yes, if you are able to finish Lost You Forever that would be wonderful. Many thanks! I wonder if there’s been any news on the drama adaptation?? What? She dated So Ji Sub????? 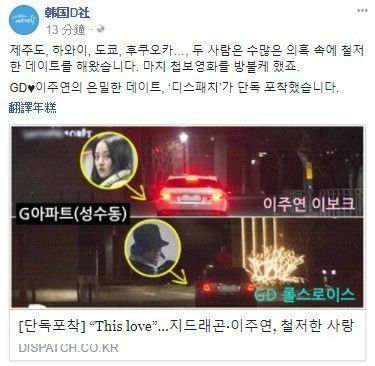 And again today….Dispatch outed another celeb couple that is Lee Joon’s former bandmate, G.O who currently dates idk whats her name actress. 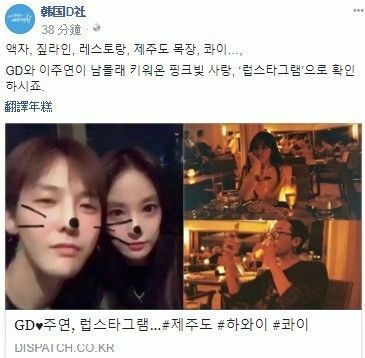 Seems like Dispatch is stalking idols or what? Let’s wait and see who else falling under Dispatch’s radar and if there’s more outing to come. Aw, man. i am always torn when I hear that stars dating lives have been outed. On one hand i love it because its DRAAAA-MAAAA, but on another I kind of feel for them. GD is like 30 years old. He’s totally in his right to date. Heck, a lot of people, celebrities included, are already on their 2nd marriage by now.